PS-72 was released on Sun 15 Jan 2017as a solar HF party balloon. It went down in bad weather near the Solomon Islands on 19 Jan 2017. 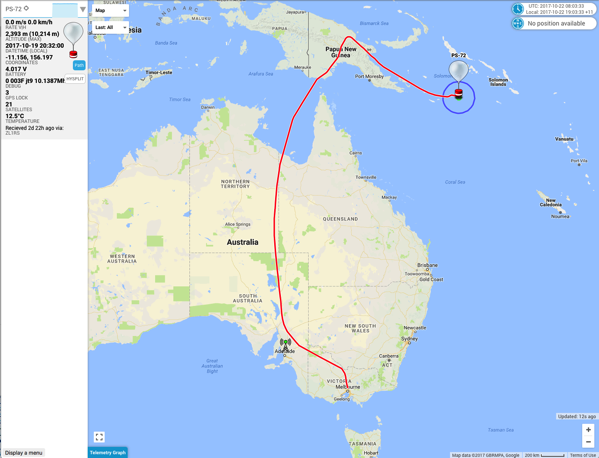 This entry was posted in Flights and tagged hf jt9 ps-72 on October 22, 2017 by andy.